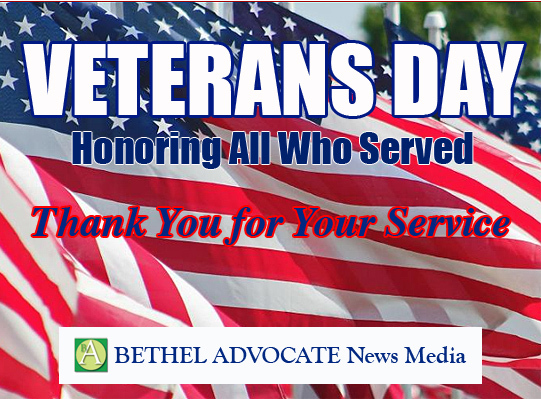 From Bethel Advocate: On Veterans Day Weekend and Always, Thank You to All Who Served. Rockwell School is hosting a Veteran’s Day celebration on Monday 11/12. The Bethel Police Department salutes our Veterans and thanks them for their service and sacrifice. We especially thank those Veterans serving within our ranks.